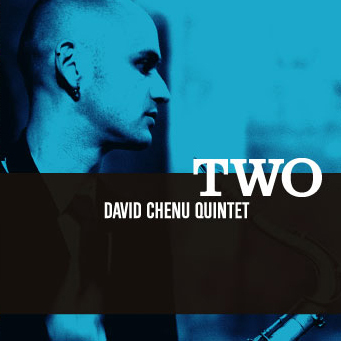 The David Chenu Quintet's second CD,“TWO”, features all original instrumental jazz compositions which draw from a diverse range of styles, from classically infused harmonies to the blues, while staying remarkably melodic and listenable for a jazz record. "TWO" is mature, introspective and original. Recorded live in pianist Evan Jacobs’ living room onto analog tape with absolutely no edits, splices or overdubs, “TWO” captures an organic and unadulterated performance rarely heard on modern recordings. It features Evan Jacobs and Jason Friedrich (Tacks the Boy Disaster), as well as Beau Sample (Cave Catt Sammy, Elana James) and Jacob Wise. 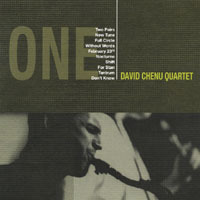 Listen to Estimated Sonic Transfer from "TWO"
Listen to Underneath from "TWO"
Listen to David and the quintet performing live on KUT, 90.5 FM on Dec. 13th, 2006 to promote the release of "TWO". Check out David's composition, "The Painting" from this album.